There’s more to landscaping than just installing water fountains and planting pretty shrubs. As a true art form, landscaping takes careful planning and masterful execution. In today’s post, your landscaper, Sherwood Gardens Landscape Design and Development, discusses the four basic principles landscape design must abide by. The objects in your landscape need to be properly scaled in relation to all the other elements. The absolute scale to keep in mind in landscaping is the average size of the human body. The design elements should be relative to the human scale. Otherwise, you’ll end up with awkward design pieces that are either too big or too small. The principle of proportion can be used when dealing with various plant sizes. It can also be applied to hardscape. As a landscaping rule, all features must be functional, or at the very least should be able to accommodate the human body. Decks and patios should also be proportional to the scale of the house. Landscapers should strive to achieve balance and organization when designing a space. Balance can be categorized as symmetrical, asymmetrical or perspective in terms of visual attraction, weight, form, color, size and texture. One of the most foolproof ways to obtain order in landscape design is to arrange objects around a focal point. Using the same elements to establish patterns create a soothing rhythm in the landscape. However, repetition must be used carefully—too much of it can turn into monotony, while too little can result in incoherence. Repetition can be applied to plants and flooring patterns, among other things. Tying all the elements together creates harmony. Unity can be achieved through emphasis, interconnection or simplicity. These allow all the components to really come together and present a coherent design that’s pleasing to the eyes. 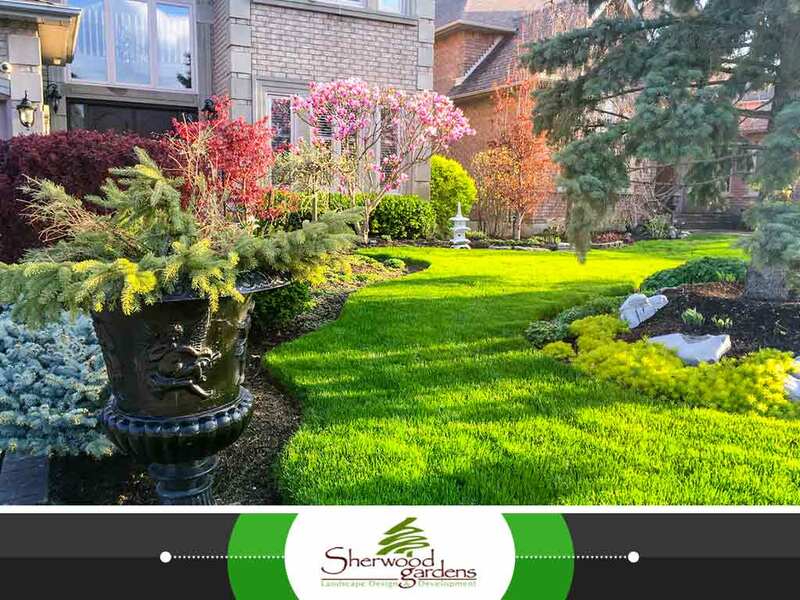 Sherwood Gardens Landscape Design and Development utilizes all four principles in all our landscaping projects. Turn to us for excellent outdoor lighting and attractive landscapes. Call us today at (405) 212-5113 and get a free consultation. We serve Norman, OK, and other areas in Oklahoma.